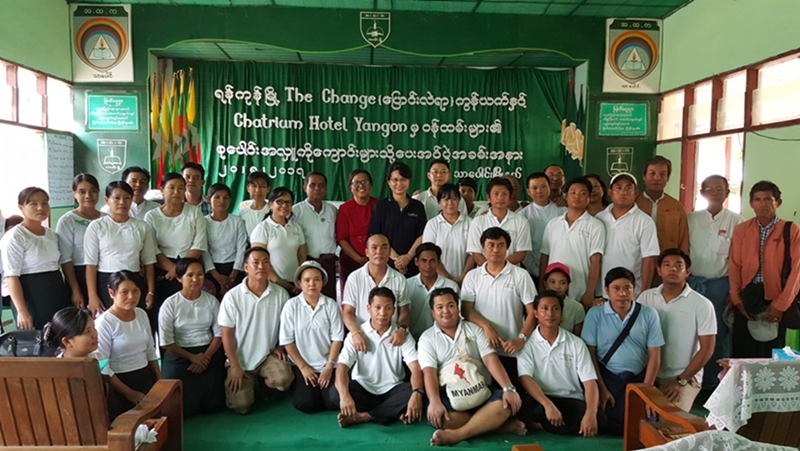 Chatrium Hotel Royal Lake Yangon held a donation event to hand over new school buildings and steel water tanks at Tha Baung Township in the Ayeyarwady Division. The property’s Assistant General Manager Ms. Kyu Kyu Maw, together with the management and staff of Chatrium, visited the basic education primary school in Jouk Gyi Village where they were greeted by Assistant Township Education Officer U Tin Win, the school’s headmaster, teachers and students together with a number of locals to hand over a new kindergarten building. In the afternoon the Chatrium team and staff traveled to the basic education high school in Tha Baung Township to hand over the keys to a new school building at Thit Poke Kone Village state primary school as well as 11 water tanks for different villages in the township, clothing and various stationery items for the upcoming school year. This donation was one of the activities of the Chatrium CSR “Together” program and funds were raised with personal donations from Chatrium Hotel Royal Lake Yangon’s staff and the Chatrium Charity Golf Tournament 2016. The total list of donated items were 2 school buildings, 11 2,000-liter steel water for 11 villages, 247 large towels, 337 small towels, 536 floor mats, 187 dozen books, 30 boxes of pencils, 25 boxes of pens, 20 boxes of erasers, 35 boxes of rulers and second-hand clothes from the property’s staff. “We are very happy and on behalf of the students and parents we really appreciate Chatrium’s kind of contribution to our village. In the village, we cannot operate a separate nursery and kindergarten class because of the poor condition of the building and now we are able to accept more children in the upcoming season. 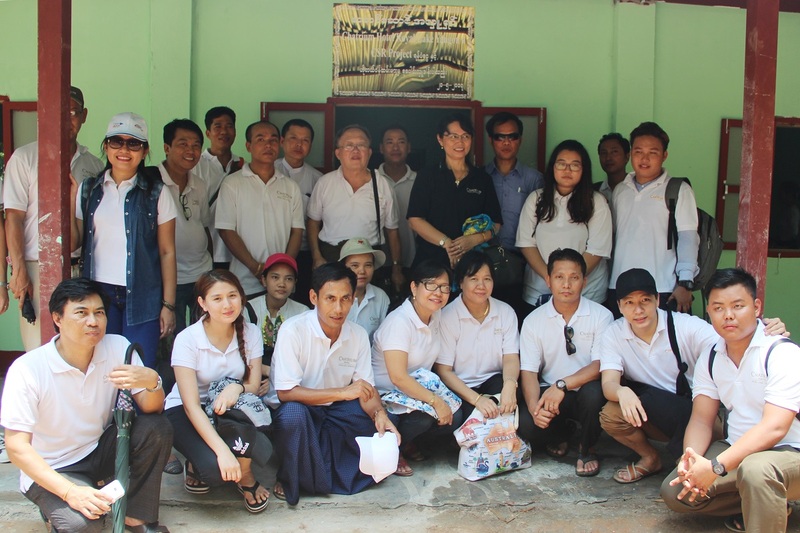 The other items donated by Chatrium will also prove very useful so thanks once again” said Headmaster U Sa Htay Hlaing. Ms. Kyu Kyu Maw said “As part of the Chatrium CSR “Together” program, we were searching for a needy organization and region that really needed our help and we found that there were many difficulties regarding the children’s education in Tha Baung Township. After observing their situation we decided to build primary schools in two villages and donate water tanks to 11 villages, as well as necessities and stationery to assist the children in their studies. I ‘d like to offer our heartfelt thanks to all our sponsors, partners and everybody associated with this worthwhile cause for their kind generosity”. 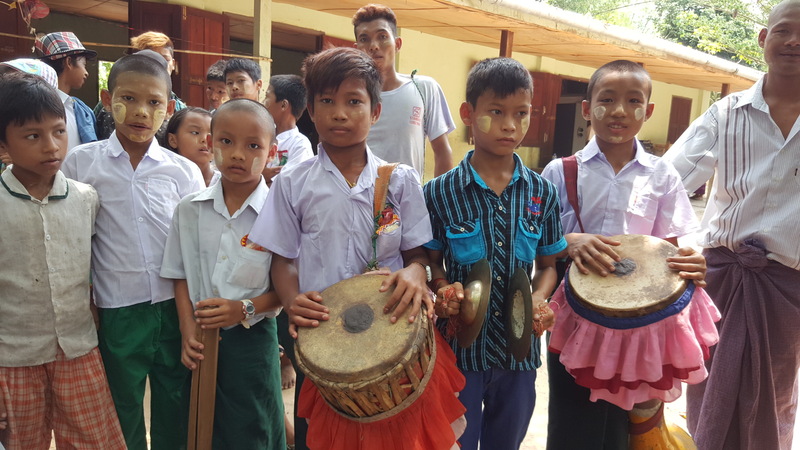 There are a total of 226 basic education schools (primary, secondary, high school and monastic schools) in Tha Baung Township and 33,000 students study there every year. The new school buildings will be invaluable in allowing students to study in peace and to withstand the rainy season. 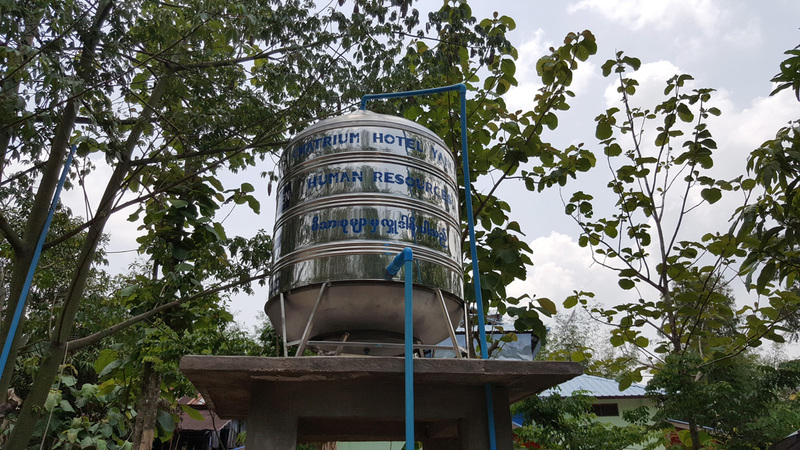 Tha Baung Township is one a main area in which annual flooding occurs and it is essential that local people have access to clean water to stop the spread of diseases. The steel water tanks will be able to store clean water during the rainy season and prevent a clean water shortage in the upcoming summer. 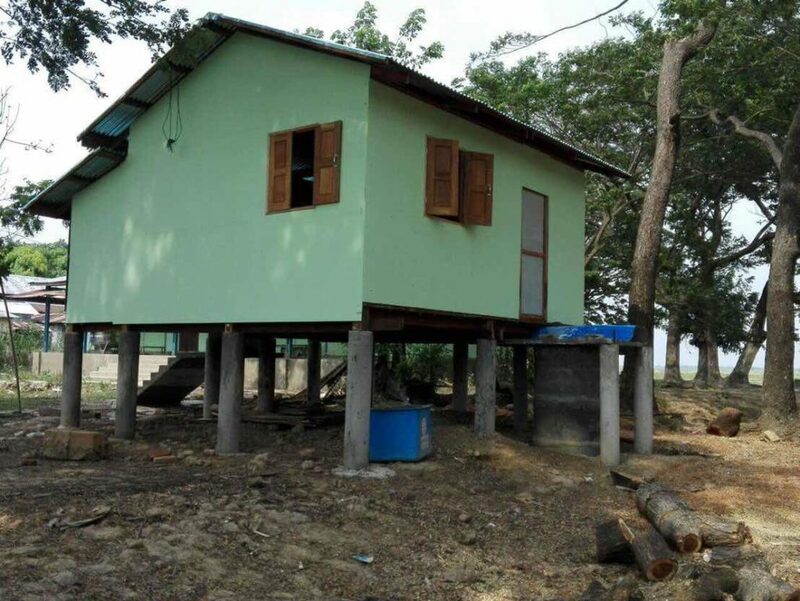 The total amount donated was 13.2 million kyats with 6 million kyats going towards the school buildings, 500,000 kyats per water tank and other items with a value of around 400,000 kyats. This is an annual event with the objective to contribute to the needs of community development, to foster a relationship with our business patrons and to share business opportunities and exposure with our business partners/ associates. Chatrium Hotel Royal Lake Yangon has been organizing Charity Golf Tournaments over the years and all the profit goes directly to charity organizations needing help in Myanmar. Previous PostPrevious Isn’t It Time You Experienced Golfing Heaven?